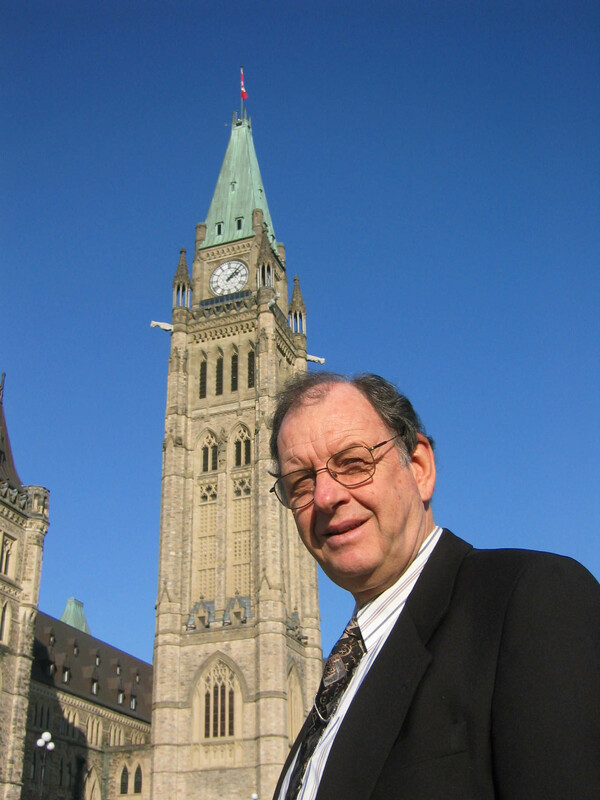 What does the Canadian Foodgrains Bank (CFB) have to do with this week’s cabinet shuffle? Not too much, on the surface at least, as it turns out. But let’s deal with the comparison, first, before getting into some interesting nitty gritty about the CFB. In church, this past Sunday, I learned a fair amount about how two Ottawa-area congregations, one within the shadow of The Hill and the other in the capital’s rural outskirts, let the CFB help them to help end hunger. Knowing that the cabinet shuffle was coming up, I had intended to suggest that Chuck Strahl, then the agriculture minister, would be well-advised to pay attention to the Foodgrains Bank. That “bank,” after all, was founded, in part, by people from his church of choice, the Christian and Missionary Alliance. There are four groups that are generally credited with getting the CFB started a couple of decades ago. There may have been more, but the ones I recall were the Alliance, the Mennonite Central Committee, the Christian Reformed World Relief Committee and Canadian Baptist Ministries. All four groups were seen as having a prior interest because they have many rural congregations whose membership backbones were often made up of grain farmers, in various parts of Canada. And many of these grain farmers had been persuaded by their pastors to consider the fact that contributing part of their crops could ingeniously and creatively be used to help alleviate hunger. Over the years, CFB has grown in its partnership embrace, to include virtually every major component in Canadian Christianity. Adventist Development and Relief Agency. World Relief Canada (a relief and development arm of the Evangelical Fellowship). Evangelical Missionary Church of Canada. Presbyterian World Service and Development. Canadian Catholic Organization for Development and Peace. The Primate’s World Relief & Development Fund of the Anglican Church of Canada. Those two additions bring to a total of 17,000, the number of individual Christian congregations that are now a part of what CFB is doing. That according to Andrew Johnston, who, as it happens, is minister of St. Andrew’s Presbyterian Church, where we have been worshipping for the last couple of years. Now, St. Andrew’s is pretty much a city church, located as it is right across from the Supreme Court of Canada and just a few steps from where both Edna and I spend our working days, she in an MP’s office and I, in the press gallery. For Johnston, the challenge was to encourage this urban congregation to find ways of helping hungry farmers in other parts of the world. But what to do? The number of working farmers at St. Andrew’s is pretty small, although some worshippers will have grown up in rural settings. What to do was a no-brainer, really. St. Andrew’s Ottawa teamed up with St. Andrew’s in Kars, a small town on the edge of Ottawa. There are quite a few farmers in and around Kars, and fair numbers of them are either part of St. Andrew’s Kars or know somebody who is. So the St. Andrew’s Ottawa church service this past Sunday was actually a combined Ottawa/Kars effort. Susan Clarke, the Kars minister, shared the pulpit with Johnston. And one of her interesting stories was of the surprise experienced by one of the Kars church members. That member had simply shared with a neighbour that the church was looking for acreages whose owners would commit to growing corn, this summer, for use by the CFB. That neighbour, not a member of the church, immediately offered a substantial acreage. The offer proved to be an incentive for some church members, themselves, to get involved. In effect, the big downtown St. Andrew’s paid a fair chunk of the seed and related costs for the project and the smaller Kars church saw to it that the land was there on which to grow the crop. So how do the people in these 17,000 churches — of which the two Ottawa churches are this week’s models to follow — actually help hungry farmers. Many farmers are hungry. They spend their lives producing food for others, but sometimes don’t have enough for themselves. There are approximately 800 million people in the world who are chronically hungry. Two thirds of them produce, process and market food or other agricultural products. Some of these products end up on our tables. Sometimes farmers are hungry because of depressed commodity prices. Global trading rules limit the ability of developing country governments to block cheap imports from being dumped onto local markets during harvest. Other farmers are hungry because of discrimination. Seventy percent of the world’s farmers are women and often they receive little support from their governments. With your help, Canadian Foodgrains Bank is working to end hunger for farmers by providing food aid to meet immediate needs; supplying seeds and tools to facilitate longer term solutions; supporting greater gender equity; and supporting lobby efforts toward more equitable trade. Now I expect that some readers will suggest that the above statement presumes certain givens with respect to agricultural, global or economic politics. But the fact that CFB is drawing its support from such a theologically and politically diverse group of Christian churches and agencies seems to say, at least, that there is some commonality here that is worth pursuing. And back to the cabinet shuffle — the same one that spoiled my original lead paragraph for this OttawaWatch, by moving Alliance church member Chuck Strahl from the Agriculture portfolio to Indian Affairs. And Bev Oda was moved into the International Co-operation cabinet post in the shuffle. CIDA comes under Oda’s new surveillance — and it has as much or more to do about Canadian involvement in global agricultural activities as does Strahl’s former ministry. Maybe Christians could offer a prayer or two for the new minister, as she works toward getting her mind around her new portfolio. Particularly that she will like the many ways that matching dollars can help CFB and other similar faith-based groups to do what otherwise gets bogged down, at times, when government tries to do it all alone.